Attention Trimble Business Center Users! If you have recently updated to Trimble Business Center 3.10 (latest version), or are planning to, there are some changes to the software licensing and structure that you should be aware of. TBC version 3.10 now comes with three different licenses. No longer do we have the typical “free” version, the Standard license, or the Advanced license. From version 3.10 on, we will now have TBC Base, TBC Complete and TBC Advanced. The free version of TBC is now unavailable and will require at least a license for TBC Base moving forward. TBC Base is designed to support efficient data communication between the field and the office, offering a wide range of tools to perform data inspection, quality control analysis and reporting capabilities. TBC Complete offers the full capability to complete the survey workflow, from data collection to end deliverables. TBC Advanced is an existing edition for advanced surveying workflow, offering corridor design, advanced CAD functionality and terrestrial photogrammetry capabilities. This package has remained unchanged in price with additional functionality added in version 3.10. Please contact your local FPI sales representative for features and pricing. 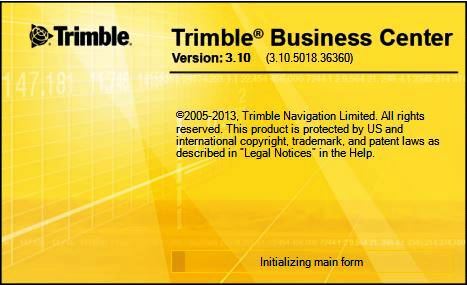 Trimble has also released the latest 32-bit version of Trimble Business Center, version 2.95. If you are a user of the 32-bit versions of TBC, it is important to note that version 2.95 will be the last 32-bit release. Moving forward, TBC will only be available as 64-bit software versions. Also with version 2.95, it is required that you have Windows 7 or Windows 8. Version 2.95 will not install on older Windows XP machines. Version 2.93 is the latest version that is compatible with Windows XP.